A blend of old and new, Richmond, Virginia is a cultural, financial, and business center for the south. With a population of just over 210,000, the state capital is the fourth largest city in the Commonwealth of Virginia. According to the 2010 U.S. Census, the city is roughly 50 percent African American, 40 percent white, and a little over 6 percent Latino, with the remainder Asian, American Indian, or other. The former capital of the Confederacy and a former major slave trade port, Richmond still suffers from deep racial divisions. In the 1950s, many whites fled to the suburbs, depleting the city’s tax base. Highway construction displaced blacks, who then moved into white neighborhoods, which further exacerbated white flight and the loss of tax revenue. Later, as middle class blacks followed middle class whites to the suburbs, poverty increased. Today, 35 percent of Richmond households earn less than $25,000 a year, 40 percent spend over a third of their income on housing, and about a quarter of the population lives in poverty, compared to 21 percent in 1990 and 11 percent in 1973. Poverty becomes more prevalent as one travels from the western to the eastern part of the city. Blacks are two and a half times as likely as whites to live under the poverty line. Seventy percent of the region's poorest communities are located within ten minutes of City Hall and the State Capitol. While the median income in Richmond’s metropolitan area exceeds $55,000, in the city it is less than $35,000. Yet although Richmond has a history marked by its Confederate past, there is a powerful counter-narrative too. Richmond was the first city to host a bank chartered by African- Americans and the city’s Jackson Ward neighborhood was once revered as the Harlem of the South. Richmond is also the birthplace and home of Douglas Wilder, the first African- American to be elected governor of Virginia and the first African-American governor of any state since Reconstruction. In 2013, Mayor Dwight Jones established the Maggie L. Walker Initiative for Expanding Opportunity and Fighting Poverty and the Anti-Poverty Commission, made up of community advocates, academics, business representatives, and other stakeholders. The Commission has developed recommendations to promote equity and social justice. This effort is just part of a growing network of organizations similarly committed to building community wealth. New cooperatives like Richmond’s Bicycle Cooperative and the Richmond Food Co-op foster job skills development. Since 1999, the city’s Neighborhoods in Bloom program—operated in partnership with the Virginia LISC (Local Initiatives Support Corporation)—which buys vacant houses and rehabs them for new residents, has received national recognition. Financial literacy is also increasing with innovative programs like Shalom Farm’s youth-run farmer’s market and New Generations Credit Union’s student-run branch. Large-scale neighborhood projects are also promising, such as the East End Transformation where, in addition to real estate investment, the neighborhood is seeing investment in the community through Bon Secours Richmond Health System’s business plan awards program, which supports East End entrepreneurs. As one of the area’s largest employers, Bon Secours Richmond Health System, augments its healthcare services by striving to address social and economic barriers to wellness in the community. To do so, it hired a “healthy neighborhood liaison” to engage Richmond’s East End community as part of their campus plans, and partnered with the City of Richmond and the Richmond Redevelopment and Housing Authority to host a series of public meetings to envision a safer, healthier, and more walkable East End. These efforts have helped spur the construction of new housing and a wellness center, as well as sidewalk and landscaping improvements. In 2011, Bon Secours Richmond partnered with the Virginia Local Initiatives Support Corporation (LISC) to establish an annual business plan awards program, Supporting East End Development (SEED). The program provides up to $10,000 in grant money to individuals looking to expand or start a business in the Church Hill neighborhood. Since the SEED program was established, Bon Secours Richmond has helped support the development of 14 businesses in the East End, including a trash service, coffee shop, a bakery, a hair salon, and a janitorial service. 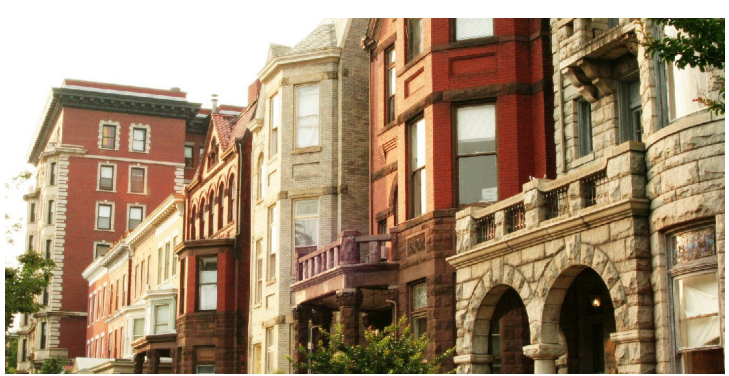 The Better Housing Coalition (BHC) formed in 1988 to develop and rehabilitate residential property throughout the city. Since its founding, the nonprofit has built or renovated 1700 homes and apartments for low to moderate-income first-time buyers as well as three senior communities—all built with green building standards. The Coalition also provides classes offering instructions on renovation lending, mortgage financing, and buying homes in disrepair. Local Initiatives Support Coalition, Virginia mobilizes corporate, government, and philanthropic support to provide Richmond community development organizations with loans and grants as well as technical and management assistance. It has helped develop homes, child care facilities, and senior housing throughout Richmond, in neighborhoods like the Old South District, the Fan, Church Hill, Barton Heights, and Bensley. Most notable of its contributions to Richmond, the organization helped to negotiate disputes among community development practitioners involved in Richmond’s Neighborhoods in Bloom initiative in 1999. In operation for more than 25 years, Southside Community Development & Housing Corporation has constructed more than 300 units of affordable housing units (all to green building standards) throughout the Richmond metropolitan area. The nonprofit provides foreclosure prevention counseling, pre- and post-home purchase counseling, homebuyer education, and financial literacy training. It also administers Virginia’s Down Payment Assistance program and the Virginia Individual Development Accounts Matched Savings program, which helps individuals save for a down payment on a home, business equipment, or post-secondary education. Founded in 1988, Virginia Supportive Housing has developed more than 400 units of affordable, permanent supportive housing for formerly homeless individuals and families and persons with disabilities in Richmond, Hampton Roads, and Charlottesville. It offers counseling and financial literacy programs that aim to empower tenants to make the changes needed to maintain jobs and move on to market rate housing. Established in 1981, Neighborhood Housing Services of Richmond, Inc. is a nonprofit community development financial institution that helps low and moderate-income families purchase homes. It provides services to support stable, self-sustaining neighborhoods such as pre and post- home purchase education, foreclosure prevention and budget counseling, and other financial educational resources to prepare home owners for renovating, insuring, and maintaining their homes. It also offers home purchase and refinance loans, as well as Individual Development Accounts to encourage savings and asset building. Starting out providing microloans and Individual Development Account programs, Virginia Community Capital (VCC) has expanded significantly since its 2005. It has become a certified B-corporation and has increased its equity capital to $20 million. In 2008, Virginia Community Capital opened the Community Capital Bank of Virginia (CCBV), becoming one of six nonprofit bank holding companies in the nation. The partnership has enabled the organization to funnel the bank’s profits back to itself and to finance 23 community development projects and 623 units of affordable housing. In 2013, it launched the $11 million Virginia Fresh Food Loan Fund, which combines small business technical assistance and lending opportunities to increase the capacity of urban corner stores to sell and market healthy items and to foster the expansion of food hubs. The organization has also partnered with Bon Secours Richmond to provide micro-loans for small businesses and in 2014, it announced a partnership with the Virginia Community Economic Network to increase the capacity of the community economic development industry to promote entrepreneurship in the state. Virginia Community Development Corporation (VCDC) is a tax credit fund manager that connects corporate investors with local community sponsors to support economic development in Richmond and beyond. The nonprofit provides community partners developing mixed use housing with low rate pre-development and construction loans. Using New Market Tax Credits, the organization has helped to provide over 130 units of affordable housing, and a childcare facility in Richmond. In 2012, a group of friends involved in Richmond’s Occupy and activist movements formed ARCH cooperative housing with the goal of providing high quality, low rent housing for low-income, marginalized members of the community, including those of color and varying sexual orientation. Resident members invest a few hours a week volunteering in Richmond’s Northside neighborhood. At eight members, ARCH has ambitious plans to expand to 24 by the end of 2014. With over $65 million in total assets, New Generations provides critical financial services to over 14,000 persons living, working, volunteering, or worshipping in Richmond. Working towards improving financial literacy and democratic participation in the credit union, New Generations operates a student-run branch inside a local high school and offers a member information call center. The Northside Artist Cooperative is a network of artists committed to creativity, education, hospitality, and community. Located in the Ginter Park Recreation Center, it provides Ginter Park and other Richmond artists an opportunity to display and sell their work, or even teach art classes. The nascent Richmond Food Co-op will be a member-owned full service grocery store providing affordable, local, sustainable and healthy food options. In addition to improving access to organic and local crops, it aims to educate communities on healthy eating and democratic, community-decision making processes. Though still in its membership drive phase, it has been incorporated for a year. In 2013, it received a $10,000 seed grant from the Food Co-op Initiative, which will fund a Market and Financial Feasibility study. With a strong following and active membership of 360, it is expected to be open by 2015. The six-member Richmond’s Bicycle Cooperative teaches low-income people the skills needed to maintain and restore a bicycle. It provides a community space with tools and recycled parts available to the public, empowering those without a car or unable to afford bus fare, to travel sustainably, safely, and affordably. Members volunteer about eight hours a week and are able to teach about twenty persons. Revenue generated from selling refurbished bikes goes toward operating costs and helps fund a books donation nonprofit. In 1923, 150 farmers met in Richmond and decided to pool their funds so that they could purchase better quality seed suited to Virginia lands. Today, that gathering has grown to become one of the nation's largest farmer cooperatives, at over 200,000 members. The cooperative purchases, manufactures, or processes feed, seed, fertilizer, farm supplies, and fuel. Southern States Cooperative has also developed a hybrid corn research program, established a chain of feed testing and research farms, and acquired a wholesale and retail farm supply company. Headquartered in Richmond, VA, InSource Solutions provides industrial hardware and software consulting services for manufacturing companies throughout the southeast and Mid-Atlantic. Six years after its founding in 1997, InSource established an ESOP. The company now employs 62 people, all of which are enrolled in the ESOP. Founded in 1938, Liphart Steel Company employs over 60 people and its annual revenue exceeds $10 million. Since it began offering an ESOP in 1975, it has enrolled over eighty of its employees in the plan. Fortune 500 company MeadWestvaco Corporation, also known as MWV, offers packaging services to the world’s largest brands. Over 15 percent of its global workforce is enrolled in the employee stock ownership plan. In 2010, MWV moved its Center for Packing Innovation and its pilot research and development facility to Richmond, creating an additional 114 new jobs. Ruffin & Payne is a lumber, millwork, and building supply operation that specializes in serving the home building and remodeling community. It is the only local company that maintains a full service lumber yard, custom millwork shop, pre hung door department, roof truss plant, and stairway manufacturing at one location. Since it began offering an ESOP in 1982, it has enrolled 59 of its employees in the plan. Founded in 1901, Wiley|Wilson offers architectural, engineering, and planning services for industrial, commercial, and governmental clients across the Mid-Atlantic. Since becoming an ESOP in 2000, it is now 100 percent employee-owned. Last year, the firm was ranked 83 on Architectural Record’s annual Top 300 Architecture Firms list. For its outstanding efforts to educate and inform employee owners about ownership principles, it won the ESOP Association’s 2013 Intranet Award for Communications Excellence. In the Greater Richmond region, women start new businesses 1.5 times more often than men. To ensure the success of these businesses, the Center for Women’s Enterprise was started. The center receives an annual grant from the U.S. Small Business Administration’s Women's Business Center program and partners with REDC Community Capital Group Inc. to provide free one-on-one counseling sessions and educational programs for women starting a business or seeking advice on how to grow a business. It also hosts networking events to foster connections between women business owners in the Greater Richmond area. Feed RVA developed from the for-profit Grow RVA, which operates one the largest farmers’ market in Virginia, the South of the James Market. Though originally formed to create an incentive program to provide matching funds for SNAP benefits at farmers’ markets, Feed RVA’s mission has since expanded. Feed RVA is working to expand selling opportunities for the 100+ South of the James Market vendors, three quarters of which make at least two thirds of their total incomes at the Saturday market. It is now putting together a group of stakeholders, including purchasers from Richmond hospitals and universities and Richmond’s Economic Development Authority to form an advisory committee on the formation of a food hub. Begun in the fall of 2008, Shalom Farms is a regional food security, community development project of United Methodist Urban Ministries of Richmond. Using high-density urban farming techniques that are replicable in urban communities, Shalom Farms provides experiential learning opportunities for children and adults to engage in food production and healthy cooking. The farm has also supplied over 30,000 of pounds of food to Central Virginia's hunger-relief leader FeedMore and the Peter Paul Development Center. Together with the Neighborhood Resource Center for Greater Fulton, Shalom Farms operates a weekly farmers’ market, operated by Fulton Hill youth. Tricycle Gardens uses its year-round ½ acre urban farm in South Richmond as a living classroom for adults and youth to learn about farming, soil improvement, nutrition, and organic growing. Producing over 20,000 pounds of produce per year, it is able to run its own farm stand in addition to supplying online grocer Relay Foods and local restaurants. It has also launched five community gardens. In 2013, Tricycle Gardens partnered with the Richmond City Health District, Virginia Community Capital, and Bon Secours Richmond to reduce food deserts in Richmond’s East End through the Get Fresh East End! pilot, modeled after the national Healthy Corner Stores Initiative. Tricycle Gardens provides fresh, affordable, and locally grown produce to two corner store owners. As the program grows to include more corner stores, Tricycle Gardens will work with other urban farms and community gardens for additional local food sources. The City of Richmond’s Department of Public Utilities operates five utilities: natural gas, water, wastewater, stormwater, and electric street lighting. The utility serves more than 500,000 residential and commercial customers in the Richmond and the surrounding metropolitan region. The Port of Richmond is Central Virginia's domestic and international multi-modal freight and distribution gateway. The Port is owned by the City of Richmond and leased by the Virginia Port Authority. Since the lease was finalized in 2011, the city has earned over $200,000 in direct revenue and has experienced significant increase in freight traffic. In 2011, Mayor Jones established Richmond’s Anti-Poverty Commission, known as the Maggie L. Walker Initiative for Expanding Opportunity and Fighting Poverty. The Commission developed the city’s first comprehensive anti-poverty policy plan, connecting all aspects of the poverty problem: employment and economic development, transportation and access to jobs, housing and quality of life, education and preparation for employment, financial literacy and asset development, and removal of barriers to escaping poverty. In 1999, the City of Richmond launched Neighborhoods in Bloom, a multi-year, coordinated strategy to improve seven neighborhoods in areas with high incidence of vacant and abandoned properties. The city targeted the bulk of its federal Community Development Block Grant (CDBG) funds, its Home Investment Partnership (HOME) funds, as well as significant amounts of capital improvement funds to build and renovate four hundred housing units. With the assistance of community development corporations and the Richmond Redevelopment and Housing Authority, nearly 400 new or renovated houses were sold and more than 130 owners repaired their homes. Since its initiation, occupancy rates have risen eleven percent and housing prices have increased 9.9 percent faster per year than the citywide average. In 2011, Mayor Jones organized leaders from local nonprofits, urban farms, and municipal and state governments to establish the Food Policy Task Force. Seeking to increase access to healthy foods and employment opportunities for low-income residents, the task force developed a series of land use, economic development, and health policy recommendations to reduce food insecurity. To date, the city has hired a Food Policy Coordinator who advises local food businesses and nonprofits on collaborative urban agriculture enterprise and provides technical assistance to promote the development of urban farms on vacant, city- owned land. The city encourages the transformation of vacant and underutilized city parcels into productive community or commercial gardens. The program requires groups of people that want to use a parcel to apply for a permit from the city. They are required to buy liability insurance and to show that they have support of the neighbors around the property. Seven gardens have been permitted since the program began in 2012. The East End of Richmond has been trapped in concentrated poverty for decades. With the construction of interstates 64 and 95 in the 1970s, separating East End from the downtown area and neighboring communities, the neighborhood experienced extreme disinvestment. Today, fifty percent of Richmond’s poor live in the East End. To revitalize this depressed area, Mayor Dwight Jones established a partnership between the City of Richmond, Bon Secours Richmond Health System, and the Richmond Redevelopment & Housing Authority to uplift the East End. They have hosted a series of public meetings to engage East End residents and business owners on the East End Transformation Master Plan. The leading projects that emerged from the charrette include new community centers along 25th Street, redevelopment surrounding Richmond Community Hospital, a new gateway to the city along Nine Mile Road, improved pedestrian and bicycle access to downtown Richmond, and enhanced streetscapes throughout. In 2006, Boaz & Ruth renovated a historic fire station for use as a retail/business incubator in Highland Park, which they named Fire House 15 Shops & Restaurant. As Highland Park has some of the highest concentrations of ex-offenders in Richmond, the renovation provided a critical opportunity for Boaz & Ruth to train and employ formerly incarcerated men. Boaz & Ruth has established several social enterprises, including Sunny Days Clothing Thrift, Job Connection, Harvest Furniture Thrift Store, Mountain Movers, B&R Estate Sale Services, Fire House 15 Restaurant, and Fire House 15 Catering. One of its most successful businesses, Cathedral Construction, has given men and women learning and work opportunities in specialized restoration. People with Disabilities take ten times longer to get a job than their non-disabled counterparts. They are also more than three times as likely to be unemployed. To offset these trends, Richmond Entrepreneur's Assistance Program (REAP) was created. The program prepares disabled persons to be successfully employed in above entry-level positions. Participants learn inventory management and timekeeping, and get on the job experience through the program’s businesses, Heart to Heart Gift Baskets & Packaging, RVA Shops, Personal Chef Catering, and New 2 U Sports. The University of Richmond’s Supplier Diversity Program, administered by the Office of Strategic Sourcing and Payments (OSSP), proactively looks for ways to integrate diverse suppliers into university sourcing opportunities. The department educates the university community on supplier diversity goals, procurement best practices, and strategies to source goods and services at competitive prices. Guided by representatives from several advocacy organizations, members of the Richmond community, and university staff involved in procurement, the Supplier Diversity Program encourages transparency and accessibility in university supplier relationships. The program sponsors events for minority and women- owned businesses to meet university buyers and to learn the requirements for doing business with the University of Richmond. It also provides consulting services for businesses seeking certification as a minority business enterprise. Virginia Cooperative Extension offers financial educational programs for Richmond communities, homes, and businesses through its Master Financial Education Volunteer Program. Volunteer educators partner with Richmond Extension agents to provide individual counseling sessions, run poverty simulations, teach money management workshops to youth, and to lead adult financial management classes. In 2012, the Extension trained over seventy volunteers on how to educate families on money management, homeownership planning, debt reconciliation, and retirement planning. The Cooperative also offers support for locally-owned enterprises that demonstrate commitment to community loyalty, community usefulness, and community well-being. Its Community Viability initiatives provide entrepreneurship training, food-based business assistance, and capacity building resources for nonprofit organizations.